I’ve become a bit of a group tour addict. I’m a single girl with a bunch of friends who I love to pieces but none of them can ever come on holiday with me. With no friends and no partner, I felt like my holiday days were on hold until I went on my first group tour adventure. Honestly, I was super nervous about travelling with strangers but on most of the tours I’ve been on the ratio of single travellers is quite high. There’s always been a bunch of people travelling alone who were just as worried as I was and I’ve made a lot of friends from doing tours. Black Friday is here and it’s time to save some pennies and grab the best Black Friday deals you can find. As I’ve been on a bunch of group tours and a still searching for myself, I thought I would gather some of the best tours into one post for us all to mull over. Here’s some of my favourite companies Black Friday deals and some companies I’m still intrigued to try out myself, especially with some of these amazing offers. The hardest part is picking….Good luck to us all! I recently travelled with Travel Talk Tours to Morocco and I can honestly say it was one of the best holidays I’ve ever had. I loved it. I think it was mostly because I was so anxious about travelling to Morocco, but it was one of my bucket list items and found a great deal so I went for it. It blew me away and I had an amazing group. They have a massive 70% off on their tours, including the Adventure Morocco tour I did this year! I haven’t travelled with TopDeck before but they are high on my list for a bunch of Europe adventures I want to take, including a grand tour of Italy. One word…food! I recently wrote a post for them on Traveling solo with Anxiety so go check it out! They don’t have a Black Friday sale but have some good deals on last minute tours. I’ve wanted to do a Medsailors trip for years. However, I have a massive fear of open water. I’ve had massive panic attacks in the shallow end. Seriously. I’ve been working on my fear so I can do this trip. Maybe 2019 is the year…? They don’t have a “Black Friday” deal on but they do have an early bird sale as their summer tours sell out months ahead. I’ve been a massive fan of TrekAmerica trips since I took my first ever adventure with them in 2016. For me, it’s where it all started. My travel blog, YouTube channel and my confidence. Since I took my first brave step with them, everything changed for the better. they have a massive 30% off some of their best tours! Intrepid only have 30% off on South East Asia. I’ve been dying to go to Bali for a while now so I’m quite tempted by this deal. I’ve never done the whole backpacking Thailand thing and I don’t think I ever will. I don’t think I would be able to cope with my anxiety but I still want to go. These HALF PRICE Tucan Travel Thailand tours look right up my street. Most tour companies have quite a young age range. If your like me at the end of that target range then maybe this company is for you. Flashpack tours are for solo travellers in their 30s and 40s. Yes please! They are also donating £10 per booking to their charity! So you can save money and help a good cause! The sale only appears to be £100 off selected departures though. 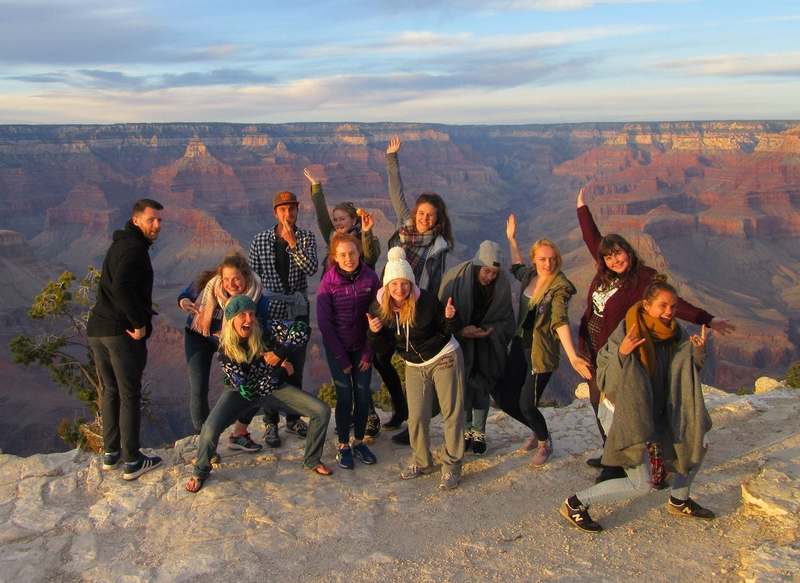 Contiki have a Black Friday sale of up to 20% on their tours. There’s a great range of tours that I would be interested in which have a great discount. It’s hard to pick just one destination with them! ….and the winner for the highest discount for Black Friday is…TourRadar! They have most of the best operators all on their website. Everything all in one place. I booked 2 tours through them, but sometimes I do like to go through the Operator myself. With 75% off, let’s see what’s on offer! GO GO GO! G Adventures is one of the biggest operators out there with tours across the world and they’ve slashed their prices by 35% so there’s range of tours to chose from. An international feast of money saving trips. Excellent! These are just a few of he great tours and discounts I spotted so make sure you have a good look through their websites. Let’s make 2019 a year to remember! Have you bought a tour in the Black Friday Sale yet? Where are you going in 2019! Let me know in the comments. Enjoyed this post? Keep up to date with my blog posts by following me on BlogLovin! Disclaimer: Local payments may apply to some of the tours. Prices above are from prices and differ on each departure date. This is not a sponsored post.